Secretary of State Mike Pompeo pays a visit to Israel this week but it’s what he’s not doing while there that may be the most notable aspect of the trip. Pompeo doesn’t plan to talk publicly about the “deal of the century” that President Donald Trump said he would offer to settle the Israel-Palestinian conflict, a plan so important that he delegated negotiations to his senior adviser and son-in-law, Jared Kushner. 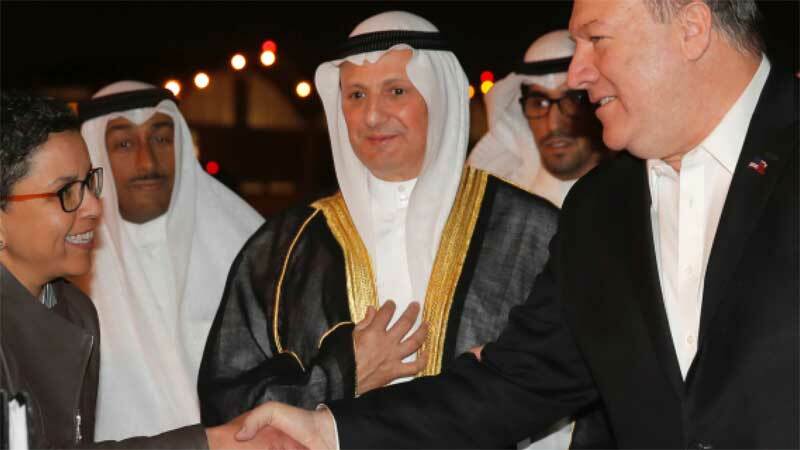 “Look, we desperately want a good solution,” Pompeo told reporters Tuesday before his plane landed in Kuwait City for the first stop of the trip. “Mr. Kushner’s working on the Middle East peace plan. There’ll be a right time when we will introduce bigger pieces of that.” Pompeo’s Israel itinerary is characteristic of the administration’s approach to the Israeli-Palestinian conflict, which has been largely private and without participation from the Palestinians.